I have amazingly talented friends. 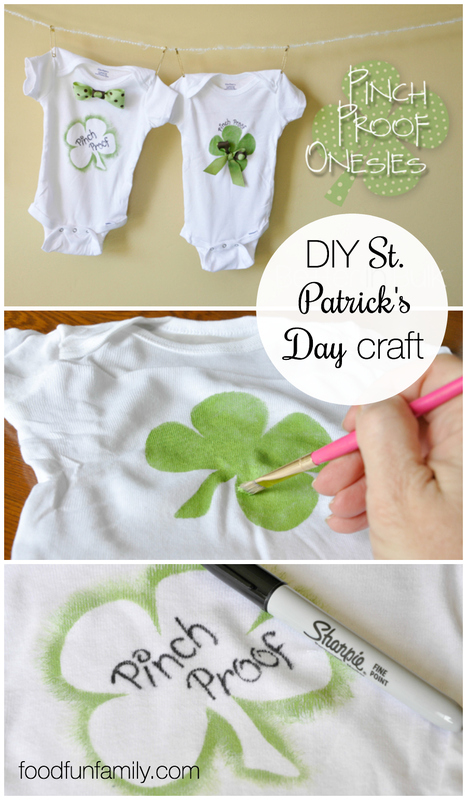 This week, my friend Lisa has shared a fun St. Patrick’s Day craft with us. Lisa is my photo-walking friend who not only makes beautiful crafts but takes fabulous pictures, as well. I can’t rave enough about her. This week, she has an adorable DIY project to make “Pinch Proof” onesies (isn’t this such a fun idea?) 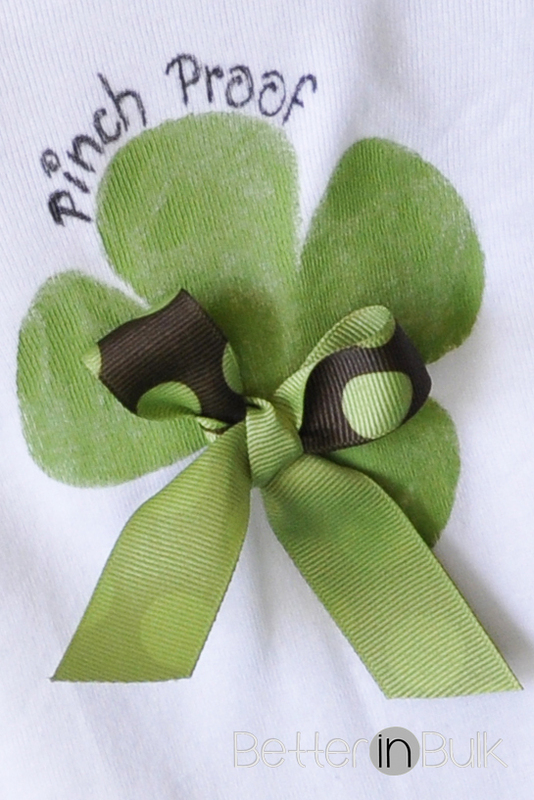 – don’t stop with onesies, though…grab a white t-shirt for everyone in the family and make sure you’re all safe from pinching this St. Patrick’s Day! 1. 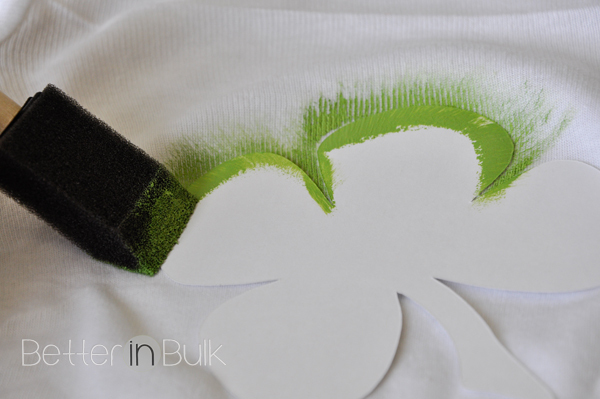 Print out Shamrock (or design your own stencil). 2. 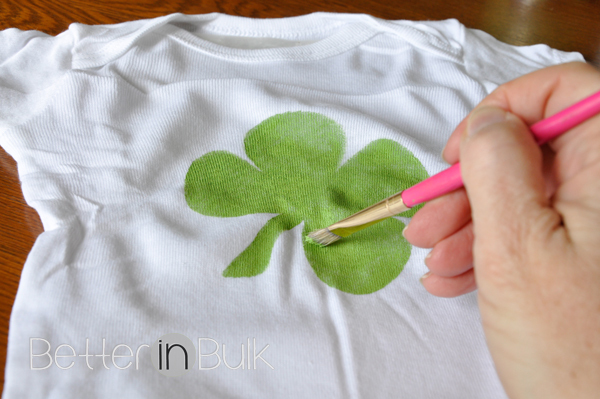 Cut shamrock stencil out. 3. Put wax paper or a ziplock bag in between layers of onesie to prevent paint from seeping through. 5. Tape stencil to onesie. 4. 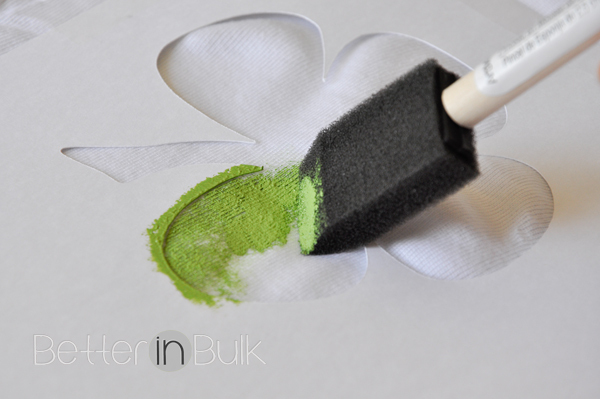 Use dry sponge to paint inside (or outside) the stencil. For a cleaner edge, do not use a lot of paint around edges. 6. 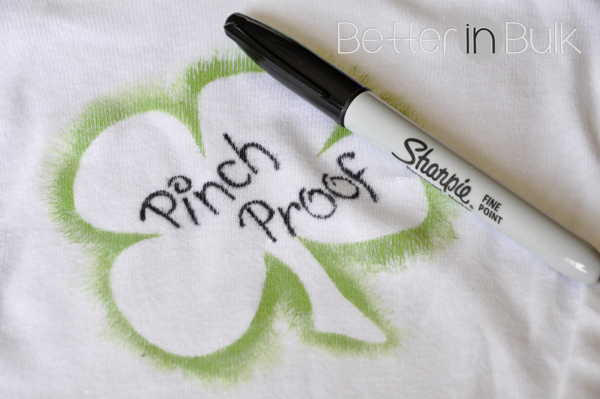 With a Sharpie, write out PINCH PROOF. TIP: Find a cute font, print it out and trace by putting it under the shirt. 7. 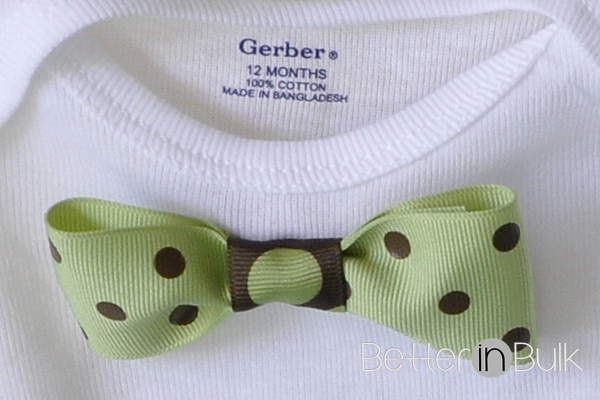 Attach bow (TIP: you can sew it on, hot glue it on, or use your imagination. Want it removable? Attach it with a snap). Are you more of a visual person? Follow these no-words-needed pictures of each step. Who would you make this cute Pinch-Proof Onesie for? These onesies are so adorable, I love them! Thanks for sharing at Merry Monday! The party is live again tonight, we hope to see you there! Cute Ideas! Perfect for St. Patrick’s Day! Super cute onesies! They are so much fun and so festive. 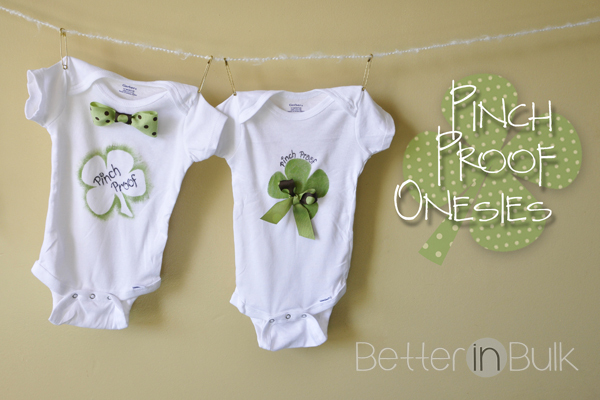 Your little leprechaun will look adorable in these! Thanks for sharing! PINNED! These are so adorable! Love it, Lolli. Thanks so much for sharing on Inspire Me Wednesday. Featuring you in next week’s issue.